Good afternoon guys!! Bet ya didn’t know that it is National Chocolate Mint Day and what better way to celebrate then by eating some!! I went to some fellow bloggers and asked them to share their best of the best chocolate mint recipes with me and wanted to share them with you! 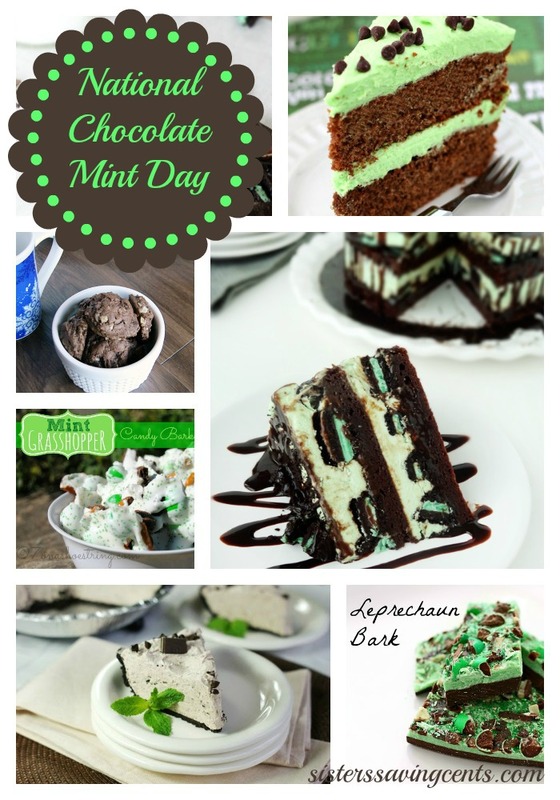 So hurry on into the kitchen and let’s celebrate National Cholcolate Mint Day together! Do you love the taste of Chocolate and mint together??? Make sure you share your recipe in the comments below and share the love of National Chocolate Mint Day with us!